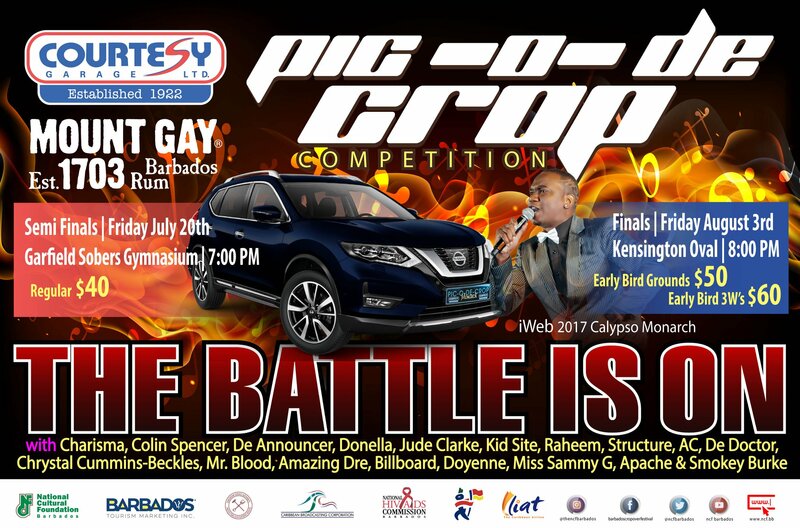 The Pic-O-De-Crop Calypso Competition is one of the most highly anticipated events not only on the Crop Over calendar, but on the national entertainment landscape. At stake is the Calypso Monarch title, which is arguably the most wanted award in local music. The action starts with the judging of the calypsonians in the tents, where 18 are chosen for the POC Semi-finals. From the 18, nine are chosen to meet the defending Monarch, who in 2017 was iWeb. The Pic-O-De-Crop Finals will be staged as usual at the historic Kensington Oval on Friday, August 3, frmo 8:00 p.m.. It is a world-class musical presentation that is considered to be the best production of its type within the calypso tradition of the Caribbean!